That looks really great. 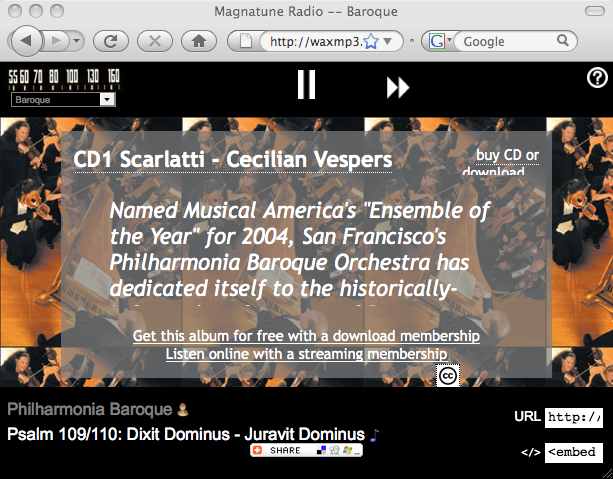 I agree, too, that the magnatune classical catalog is amazing. 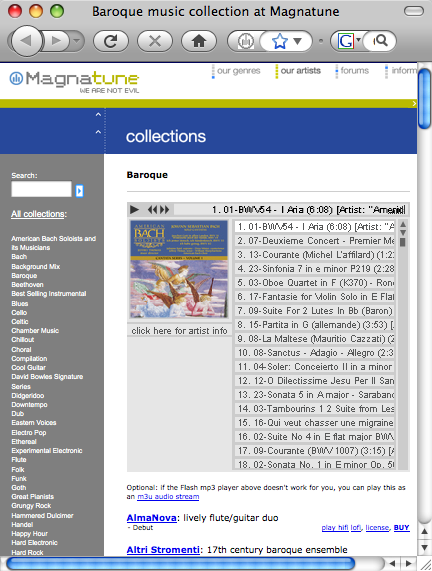 Magatune does a good job of providing alternatives to the ‘symphony playing the greatest hits” mode of music. 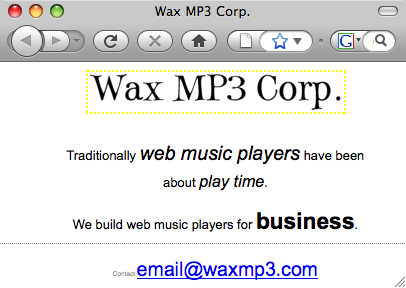 Awesome – love the company name / URL too! I see both you and John as practiced, artful idea machines. When your ideas overlap it’s inspiration squared. Congrats! Great job! Love the Tuner! Thanks for catching the .ico thing, Len. It got lost during the update and then I didn’t realize it was missing. I’ll make it a todo item for the near term.